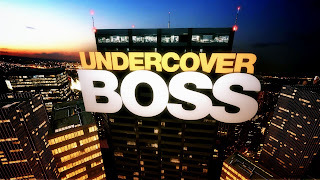 CX Journey™: Do You Have an Undercover Boss? This past Friday evening, I watched Undercover Boss for the first time. I'd read about the show and about some of the "cases," but I'd never watched it. I must say, it was eye-opening, not to mention a very humbling experience for the CEO; he admitted as much at the end of the show. Grab a cup of coffee, sit back, and read the recap of the show... and give me your thoughts about the questions I pose at the end. Friday's episode was about Oriental Trading Company (OTC), and the experience (and epiphany) their CEO, Sam Taylor, had while going undercover. OTC is based out of Omaha, NE, and considers itself the nation's largest direct retailer of novelties, small toys, and party items. OTC employees more than 2,000 people and sells 30,000 products across three websites. (These are stats provided on the show.) Their mission? Make it easy and affordable for everyone to celebrate, have fun, and express their creativity throughout their lifetimes. In a nutshell, their mission is to make people's lives more fun. They've been doing that for over 80 years. The company started as a family-owned operation but is now privately held. He teared up telling the story about how, when the economy tanked in October 2008, OTC had to make its first layoffs. However, for the employees that remained, he wanted to make sure the employee experience was fun. He presents financials to the employees every quarter, and the company has an annual event for employees and their families. Sam's disguise was pretty amazing, and employees did not recognize him. His undercover story was that he was a failed entrepreneur learning what it takes to be a successful businessman. He agreed to participate in Undercover Boss because he wanted to make sure the message of "selling fun" was getting to the employees. He also said that it was critical that every order was 100% accurate; they had invested a lot in new technology over the last two years to ensure order accuracy. He worked four different jobs over the course of four days, with four different people training him. The stories of the individuals training him were all unique. Here's a brief summary of those four days. On the first day, he worked in the warehouse. While learning his "new jobs," he asked the employees questions about the company, their jobs, etc. On this day, his trainer was Troy, who said that OTC is a "godforsaken grueling place to work." He tells Sam that half the people there don't care about OTC, that OTC doesn't pay well, and that most managers don't know how to interact with their employees. Managers treat their employees as numbers. Sam asks Troy why he still works there, at which point he learns a little more about Troy as a person and his personal obligations. At the end of the day, Sam takes in all of the feedback and vows to make some changes. The next day, Sam goes to work in the truck loading department. He wants to make sure the packages are handled carefully. He meets his trainer, Andrew, who refers to his area as "the dungeon" and the "point of no return" (for the packages). They load about 4,000 boxes a day, and each box weighs 45-50 pounds. Sam acknowledges that the job is harder than he thought, that you have to pack a truck very efficiently. And he admits that the trucks are quite warm inside. (Consider that, if it's 95 degrees outside, it's at least 10-15 degrees hotter in the truck.) He proceeds to get Andrew's side of the story, which is that OTC claims to sell fun, but it is no fun in the truck. He's not making much money; he says the truck loaders make as much as the pickers and packers, but the pickers' and packers' jobs are much less physical. "They work you more for less here." Andrew showed Sam the break room and noted that, while there were sports drinks in the coolers, they were rationed and not given to the workers until it was very hot in the warehouse. Management "picks and chooses when they hand out sports drinks." The employees can see the drinks in the coolers, but they cannot access them because the coolers are locked! Sam admits that, to be efficient during hard times, they made some cost-cutting decisions that were clearly not good for the employees. When Sam (in disguise, of course) asked Andrew for advice for an entrepreneur, Andrew told him, "Be different than OTC." Ouch. It was hard for Sam to take in all of the criticisms, including a lot of complaints about salary. He asked Andrew, "So you wouldn't recommend anyone come to work for OTC?" And Andrew said, "No, I wouldn't." Sam's face said it all at that point, and then he said to the camera, "I'm in big trouble." Eye opening. Sam had been getting an earful, and he was concerned that employees are not happy. Day 3 provided a new perspective. He was going to be working in the packing department, where he said it was important to ensure accuracy (no missing items) to reduce reships. His trainer was Kim, who had been with OTC for 19 years! This lady was quite impressive. Any customer-centric CEO would be proud to have her as part of the team! She cared more about how the orders were packed ("I pack them like you want to receive them") than she did about her own productivity metrics. Wow! Love that. She said that, because she took her time to pack carefully, it affected her bonus. Her focus was doing the best for the customer and for the company. No doubt, Sam was impressed with her and her attitude about the importance of the customer. Her story continued. It was 103 degrees outside, but that just made for a scorching environment inside, with heat exhaustion around the corner. (I was reminded of a conversation about sweat shops in China... except this is happening right here in our own backyard!) She brought her own water bottles to ensure that she stayed hydrated. Sam asked if she spoke to management about the issue, and she said she had - they said it was a budget issue. Simply, Sam stated, we need to make sure our employees are taken care of. He proceeded to ask her what it was like working at OTC. Her response: it's physical and hard on the body. She suggested that one of the "big wigs" come out and work with them to see what it's like and to see if they can maintain the pace she is expected to. On the flipside, she appreciates that OTC does things like the annual family picnics; however, she'd be quite happy to see OTC skip those perqs and just take care of employees. "We are working here for our families." Her impression of the execs was that they don't care about the employees. Sam said he does, but somewhere, there is a huge disconnect... not only with regard to execs caring about employees but also with regard to the "sell fun, make work fun" concept. On the fourth day, Sam gets to work in the induction department, where the items come in in bulk, and the workers have to sort them. Sam's goal in this area was to ensure that the technology is working properly and that the employees have the tools and training to do their jobs. His trainer on this day is Julia, and he asks her what it's like working for OTC. She says that communication is sorely lacking and that when the executives present to employees, it's only about the numbers. She had made product suggestions, e.g., to make products focused on the Hispanic community's needs, but her feedback was never acknowledged, much less responded to. When Sam asked her if she wanted to be employed at OTC for the long-term, she said, "No." No doubt, there were lessons to be learned here by the CEO. It was an epiphany for him. I think he already knew this, but for the sake of drama (and making a point): employees are people, too. They are all individuals and come with their own stories, needs, etc. He has a better appreciation for his employees and the work they do day in and day out. He discovered that the employees are really good at what they do - and he's not! Based on his undercover stint, he questions the budget cuts they made. They didn't make those cuts based on how it affects their employees every day. They need to invest sufficiently in their employees. There's a disconnect between their mission and reality: make the world fun, but it's not a fun place to work. He needs to spend more time with his employees and let them know their CEO cares about them and listens to them. The company is very sales/numbers driven, when it needs to be more people driven. Communication (up and down) needs to be improved. He realized that they need to go back to the basics, to make the company like it was when it was family-owned, i.e., have personal touches. Each individual on his executive team needs to spends two days a year doing each of the jobs he just did. A better performing company (he didn't mean financials here but the inner workings of the organization) leads to better morale, which means he will retain his employees longer. There are probably more, but these were the ones he highlighted. He wants his legacy to be that he is a CEO that cares about his employees and his customers. 'Tis a noble cause, indeed. In the end, Sam met with each of the four employees, let them know about the disguise, let them know he listened, and lavished them with great financial gifts and support. It was extremely impressive what he ended up doing for each of them. I won't ruin the surprise, in case you haven't watched it yet. What about the rest of the employees? The gifts he gave these four folks were quite impressive. What did he do for the other 2,000 employees? He opened up the sports drinks to be available two months out of the year. Really? How much would it hurt/cost you to offer your employees sports drinks all year? The win is greater than the ding here. He talked about some of the changes he made as a result of the four individuals' stories and feedback, but they were generally minor in comparison to what is really needed. What process changes has he made since? What shifts in budget cuts is he planning to make? How is he planning to change the overall culture of the company to make it fun? When I think of "sell fun, make work fun," I think of Zappos. Nothing I heard at the end of the episode made me think that the culture was shifting to a Zappos-like culture. On another note, in what I'm sure is a stark contrast to his employees, Sam lives in a beautiful home and some of the comments made by his family were arrogant, and yet Julia mentioned that she was ever-grateful for a $200 bonus! Truly a disconnect here. I know that's a harsh assessment, but I'm sure this is not unique to this company/CEO. Are your executives going undercover to see what a day in the life of your employees is like? Is there a disconnect between your employee experience and your customer experience - and, ultimately, the mission for both? Does your company have a vision for the employee experience? Is someone at your company mystery shopping the organization, to get the customer perspective? When your executives present to employees, are they only talking about financials? Or are they recognizing employees for jobs well done and talking about other things happening within the organization? Talking numbers is not what drives engagement in employees. Is your organization sales/financials driven - or people driven? Clearly, this was an eye-opener. It's a reminder to executives that there are people working those lines - people are turning the wheels of the business. Those people need to be taken care of. As I always like to remind everyone, "people buy from people." If those people are not taken care of, the business loses. I think that's the biggest lesson here. Loved the review. I haven't seen this episode, but it's a great job - not sure how long they can keep it up, since most people know what it's about by now. 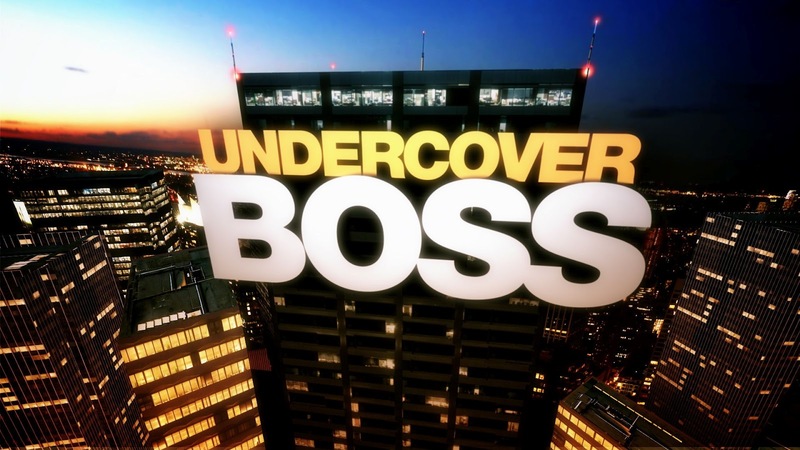 The challenge to Undercover Boss is that it's an event. As you reference, executives need to do this regularly! I had an interview with Rhoda Olsen, CEO of Great Clips last week (I'll be posting it in a few weeks), who visits 500 salons a year. What I don't understand is why more executives don't do this as a matter of course. Thanks, Jim, for reading and for your comments. I look forward to reading about your interview. Way to go, Rhoda! I don't understand why this isn't just standard protocol, either. BTW, I've added you to my CX Blog Roll. Great review Annette. I just watched this episode and had similar questions at the end. I agree the CEO could have done more for the rest of the employees. I've watched other episodes where the executive makes more substantial changes that improve the work environment for all of the employees. If his mission is to "make people's lives more fun" he should start with his employees. Thanks again! Sarah, thank you for reading my blog... and thanks for your comment! Good to hear that, in other episodes, execs have done more-substantial changes.